Until now, I am so excited for our plan of constructing our own new house early next year. We are still preparing the documents needed in acquiring the said lot. I hope we can start the soonest because I wanted to live and call it our own home. In that case, I can now design and decorate the way I wanted it down from little to big things. Speaking of style I wanted it to be unique that instead of using the traditional curtains, I guess I will opt to use the new trends like vertical blinds especially in the master's bedroom. For sure it would be more fashionable to have it plus I will choose the fabrics and colours to match with my interior décor. Do you find it so cute and trendy? Hope so! Oops! If you want to look for great collection of verticals that includes contemporary fabrics - new patterns, textures and vibrant colours, just feel free to visit www.hillarys.co.uk. 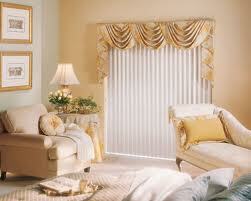 Now, I'll start to look for the best blinds that will match with my simple and elegant soon to be "home".